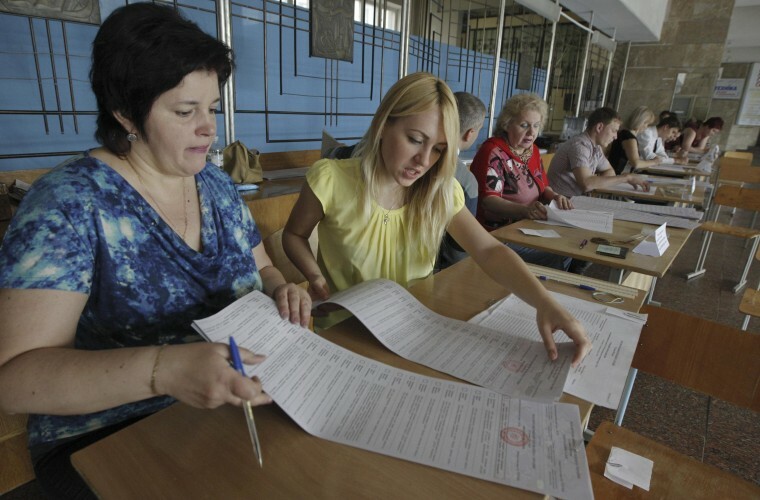 KIEV — Ukrainian polling stations opened on Sunday in a presidential election overshadowed by violence in the country's mainly Russian-speaking east and by Russia's annexation of Ukraine's Crimea peninsula. Voting began at 8 a.m. (1 a.m. EDT) across the former Soviet republic of 45 million people. It will end 12 hours later, when exit polls will indicate a result ahead of an official outcome on Monday. Voters will find many polling stations shut in the east, where armed pro-Moscow separatists are trying to block an election they say is illegitimate. European election monitors have largely pulled out of the Donetsk region, citing a separatist campaign of "terror" against Ukrainian officials. Opinion polls put Petro Poroshenko, a billionaire confectionery magnate, well ahead of his rivals in an election expected to draw a high turnout. If no candidate wins over 50 percent of the vote a run-off election will be held on June 15.